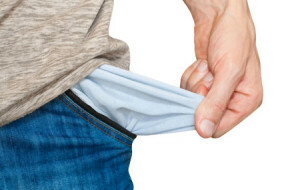 As I talk with others about investing or starting a business, I very often hear, “I don’t have any money to do that, I’m poor.” And other times they say, “not right now, I’m broke.” These are interesting statements to me as the dictionary defines broke and poor similarly. However, subconsciously the two words set off strongly opposing implications. Broke is a scenario. Nothing more than a temporary setback. A broke person is simply someone that is low on funds. But they can change their financial situation. Poor, on the other hand, is a lifestyle. These people actively chose to pursue a poor life. And can be identified as the moneyless folks that love the couch, do not care about education and are not willing to change. They’ve been poor, they’re currently poor and they’ll always be poor. The next time you are low on funds, how are you going to explain your situation? Are you poor? Or just broke?